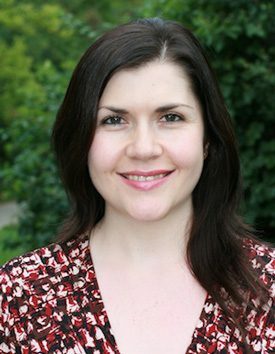 Áine Heneghan joined the Music Theory faculty at the University of Michigan in 2013, having previously taught at the University of Washington. Before moving to the U.S., she taught at University College Dublin, where she held a research fellowship, and at the University of Dublin, Trinity College, where she completed her PhD. In summer 2019, she will be visiting professor at the Institut für Musikwissenschaft und Interpretationsforschung (Universität für Musik und darstellende Kunst) in Vienna. Her scholarly interests include the Second Viennese School, sketch and source study, history of theory (with an emphasis on theories of form), and the analysis of world music. She specializes in the music and theoretical writings of Arnold Schoenberg and is currently completing a book entitled Schoenberg on Form (as part of the Schoenberg in Words series for Oxford University Press). Her work is published (or forthcoming) in Music Theory Spectrum, Perspectives of New Music, the Journal of Music Theory, the Journal of the Arnold Schönberg Center, Music Theory & Analysis, Theory and Practice, Music Analysis, the Journal of the Society for Musicology in Ireland, and Notes, as well as in edited collections, including The Routledge Companion to Music Theory Pedagogy, for which she is writing the anchor article on musical form. She has undertaken extensive archival research in Europe and the U.S. on topics relating to early twentieth-century musical thought—compositional, philosophical, theoretical, and pedagogical. She has presented her research at a variety of meetings (including the Society for Music Theory, American Musicological Society, International Musicological Society, Society for Music Analysis, and Royal Musical Association) and given invited lectures in North America and Europe. She has also been a fellow at the Mannes Institute for Advanced Studies in Music Theory. Her research has been supported by various institutional grants and by awards from the American Association of University Women, the Österreichischer Austauschdienst (Austrian Academic Exchange Service), the Deutscher Akademischer Austauschdienst (German Academic Exchange Service), the Avenir Foundation (sponsors of the Arnold Schönberg Privatstiftung, Vienna), and the Irish Research Council for Humanities and Social Sciences. Professor Heneghan is reviews editor of Music Theory Spectrum. Her editorial board appointments (past and present) include Music & Politics, Analytical Approaches to World Music, and Music Theory Spectrum. She recently completed a three-year term as a member (elected position) of the Executive Board of the Society for Music Theory, having previously served the Society as a member of the Committee for the Status of Women and, as a student representative, the Professional Development Committee. She chaired (with Julian Horton) the Dublin International Conference on Music Analysis, the first event of its kind to take place in Ireland, and has served on the program committees for Analytical Approaches to World Music, Music Theory Midwest, and West Coast Conference of Music Theory and Analysis. Currently she serves on the organizing committee for Analytical Approaches to World Music (Paris, 2020) and on the scientific committee for Música Analítica 2019 (Porto International Symposium on the Analysis and Theory of Music). She is co-chair (with Laura Emmery) of the SMT’s Autographs and Archival Documents Interest Group as well as chair of the 2019 program committee for Music Theory Midwest. “Schoenberg’s Sentence,” Music Theory Spectrum 40/2 (Fall 2018): 179–207. “Rethinking Repetition: Interrogating Schoenberg’s Writings,” Perspectives of New Music 56/2 (2018). “Schoenberg’s Fundamentals of Musical Composition: A Source Study,” Journal of the Arnold Schönberg Center 15 (2018): 163–189. Eisler’s Klavierstücke für Kinder as Kompositionslehre: Composition, Analysis, Pedagogy,” Theory and Practice 43 (2018). “Liquidation and Its Origins,” Journal of Music Theory 63/1 (Spring 2019). “The Theme of Webern’s Variations, Op. 27, iii,” Music Theory and Analysis (2019). “Principles of Form.” In The Routledge Companion to Music Theory Pedagogy, edited by Leigh VanHandel. New York: Routledge, 2019.